It was 50 years ago that The Beatles first landed at JFK Airport, and thus the British Invasion began. 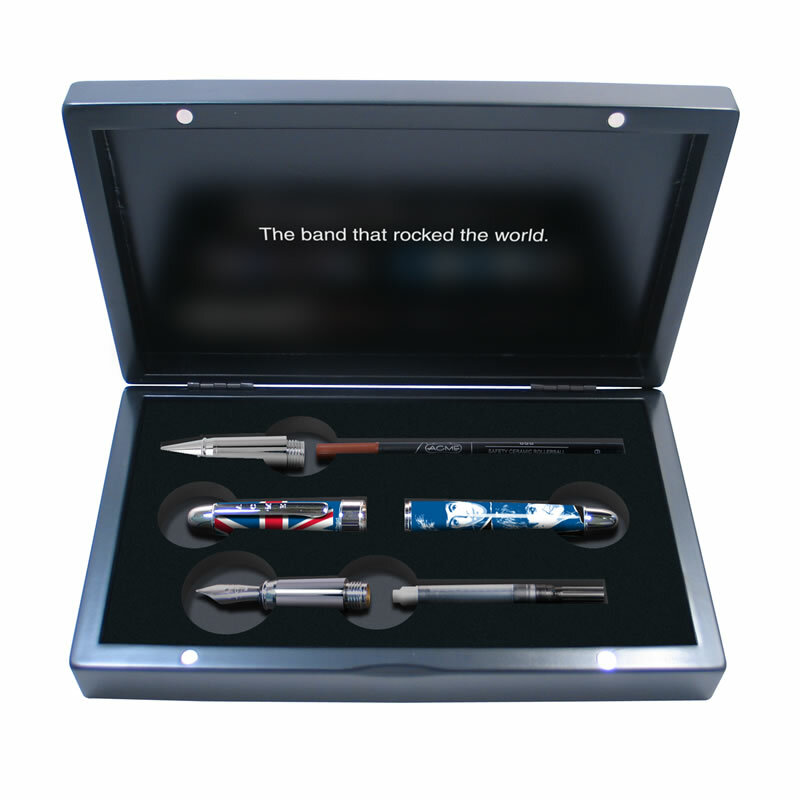 This rockin' rollerball is a tribute to "the band that rocked the world" and a fitting gift for a music lover celebrating 50 years. 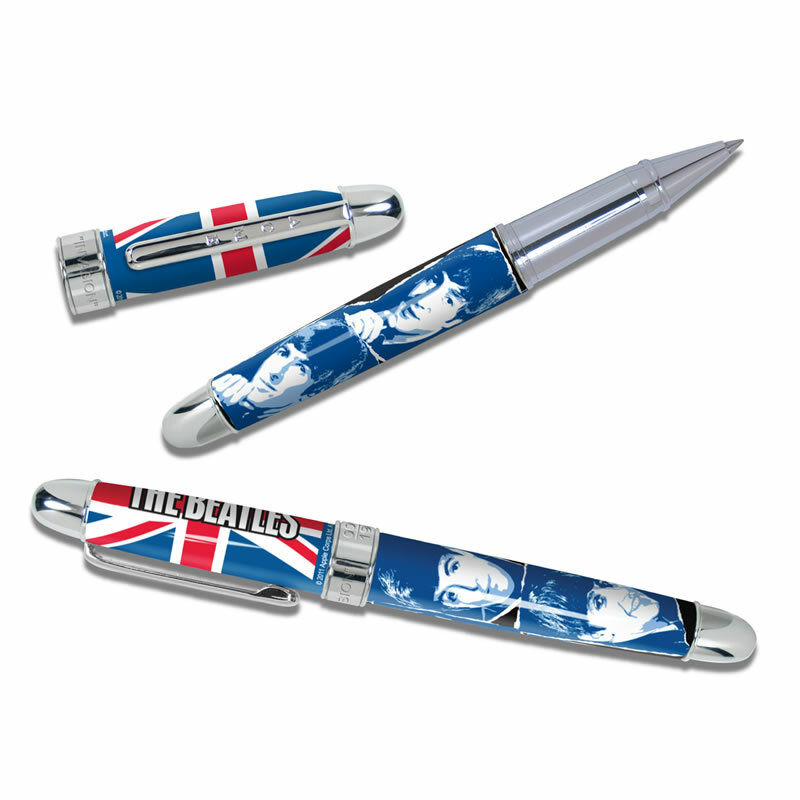 The "Invasion" Limited Edition Rollerball Pen is part of The Beatles Collection by Acme Studio. 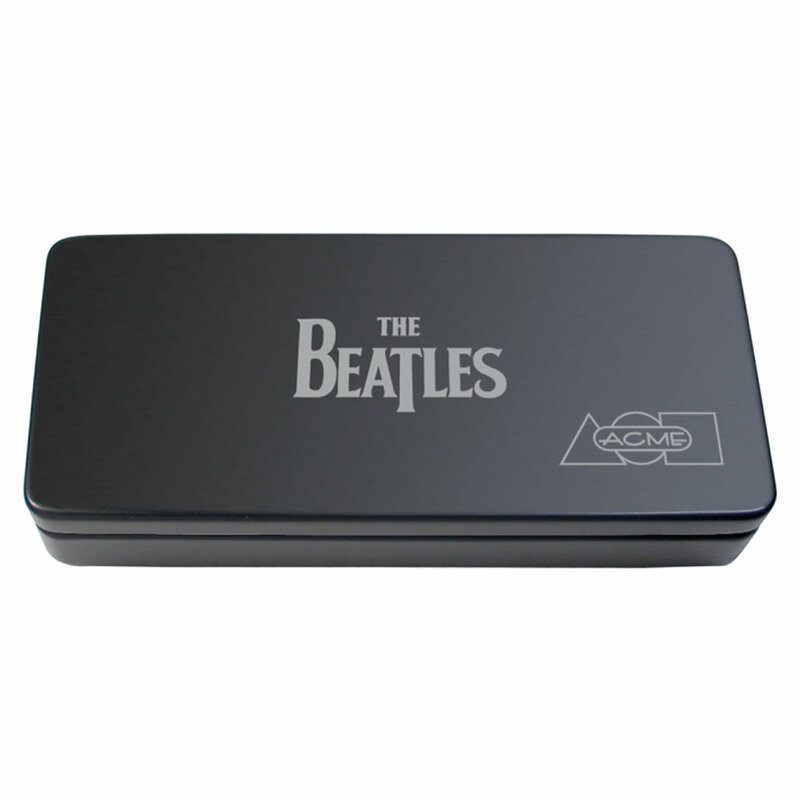 It has been accepted into the Rock 'n Roll Hall of Fame and is the only numbered, limited edition product collection to ever be approved by the Beatles. The serial number and collection number 1964 appear on the band signifying that only 1,964 pieces of the "Invasion" will be released. Designed by Rod Dyer, it can be used as either a fountain pen or rollerball. All Acme Studio pens feature hand applied lacquer finish over brass. 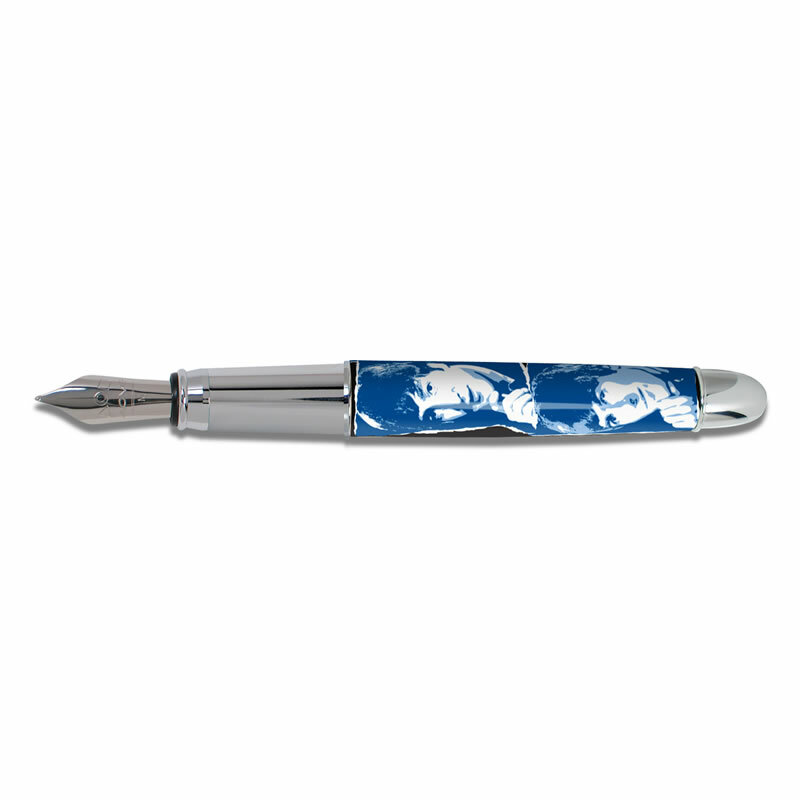 The fountain pen has a German-made stainless steel medium nib and takes standard international mini ink cartridges. The rollerball is equipped with a black fine rollerball cartridge.